Last night Lisa and I went to the Torch Club, near Washington Square Park, to hear Molly Peacock and Ruth Danon read. I got there early to save Lisa a seat, and the room was empty so I left and walked around the park three times: it was deliciously warm, the early evening light and fitful breeze filling my head with the embryos of ideas of what I should be doing with my life, and as usual I missed the obvious: this is what I should be doing with my life, looking at what’s beautiful. A young woman stopped me and asked for the closest place to get coffee. Of course there were several and I dithered until I remembered a place on the next block where they roast their own beans and it’s always too crowded to sit, but maybe she didn’t want to sit, maybe she just wanted to stand on the sidewalk and drink a paper cup of coffee before the poetry reading. So I said, That way: it’s called Oren’s. When I got back to the Torch Club, Lisa was already there, a vision with her hair the yellow of a fairy princess, her lavender silk sweater a little snugger than most things she wears, showing off the lines of her neck and shoulders, and more calm and color in her face than usual. The Torch Club is part of NYU, and rather a grand place for those of us poetry aficionados used to dented folding chairs and dingy carpets. There was even free food—a generous selection of hot and cold hors d’oeuvres and wine that was $5 before the reading and free after. I didn’t have any wine but the food was good, and I thought, this should be jammed with hungry students, but I guess students aren’t that hungry anymore. Most of the crowd seemed to be older poets Molly and Ruth knew; Molly spent several minutes at the lectern calling out her friends until she embarrassed herself by not being able to remember everyone’s name, as few of us can anymore. I prefer poetry on the page, most of the time. I go to readings to see the poets and talk with my friend(s) after. Sometimes I go to look at the audience, though I don’t realize this until later. If you’ve been to a lot of other NYC events—jazz clubs full of tourists, art openings—and then attend a poetry reading, the difference is astonishing. I know poets can be as nasty, backbiting, ambitious and grasping as the next person, yet the collective vibe at these readings is almost always gentler and sweeter than anywhere else in the city except maybe Central Park on a warm spring weekend and that doesn’t count because of the young love and babies. 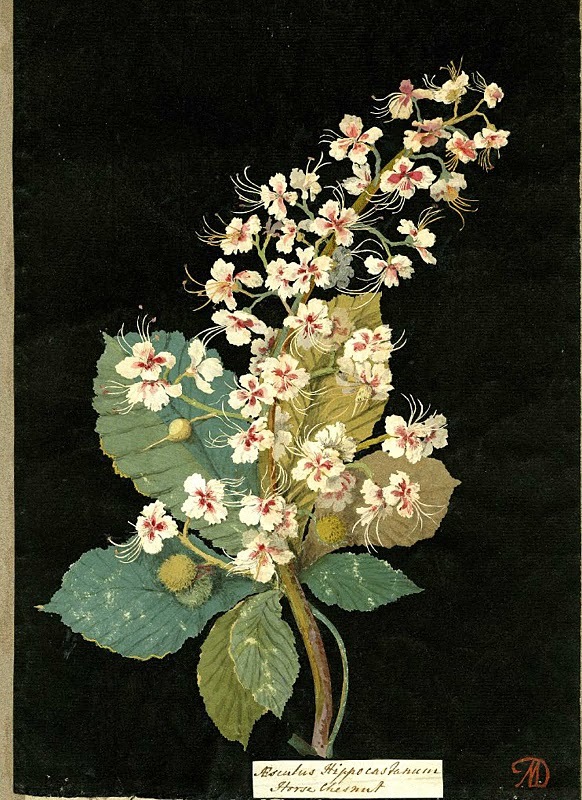 As well as poems, Ruth read an essay about her mother and herself and teeth and a fur-lined raincoat, and Molly read the beginning of her biography of Mary Delaney, a 18th century woman who invented the art of collage at 72 and went on to create nearly a 1,000 collages of flowers in the next ten years. During the Q&A, someone asked, “What’s the difference, for you, writing poetry or prose?” I thought: don’t we all know this? Well, of course not—the questioner said, “for you” to two individuals. And their answers, though not dissimilar, were their own: what it is they most enjoy or require about writing in one form or the other, how they divide the contents of their mind. Their replies would have interested me just fine in conversation. What was bothering me was envy, which I find so hard to avoid lately. My poetry career was nipped in the bud by defeatism decades ago, and then one decade ago, and then again last summer. As I do so often lately, I looked at the poets and thought: they’re good, but I could be that good. If I’d spent 30 years at it, how good would I be now? But then again, as Molly Peacock said, Mary Delaney’s career lets us know it’s never too late. (Until it is.) Not, for me, just yet. The poets were mostly very smart, although I took exception when Molly was talking about the coffeehouse culture of the 18th century, the period when coffee was new to England I and the Continent). She kept saying, “It’s as if you got your mail at Starbucks!” and similar remarks…I was biting my lips not to shout, “Those coffeehouses were nothing like Starbucks!” Not that I’ve ever spent time in a 18th century coffeehouse but having whiled away many hours in European, New York City and San Francisco cafes from the late 1960’s until the dread arrival of the Seattle swill, I know. was saying, was getting tiresome. at all but thinking up a few pearls. way to pass the time. get used to anything, they say. and noise and my own bad manners. Excuse me I say but I don’t mean it. now. I’ve got the mouse to think of. pattern.” The mouse is my witness. The mouse knows. I took off my shoes. box down the long street. I did I did. And that’s only the first part of the story. You are currently reading April is Poetry Month at Mostly in the Afternoon.